Thistle Apartments provide executive fully serviced apartments Aberdeen in the city centre with an exclusive secure private parking space. Their Berry Apartment is a fully furnished ground floor apartment within the Berry Street complex. It is within walking distance to Union Street, the train station, the beach and the shopping centres. Rooms include 2 double bedrooms with 2 king size or 4 singe beds, a lounge, bathroom with over bath shower and a large fully equipped kitchen with a washing machine, dishwasher and fridge freezer. The owners provide luxury Egyptian cotton linen and towels. Facilities include free internet WI-FI, a 42" flat screen TV with over 50 channels, DVD player, hair dryer, iron and ironing board. Competitive rates vary depending on the time of the year and advance of your booking. Their short beak offer is 2 days minimum stay. They offer a complementary taxi transfer to and from the airport or train station for guests staying 3 days or longer. For further information such as price rates see www.thistleapartments.co.uk or telephone (01224) 635555. Serviced Apartments Aberdeen can be found at Baker Road near Hilton and the University. 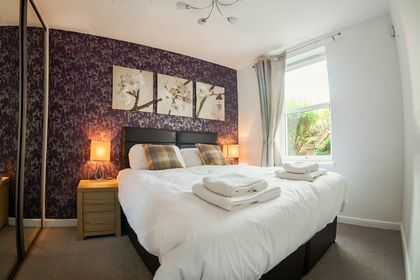 These serviced apartments in Aberdeen are a short walk from the city centre. 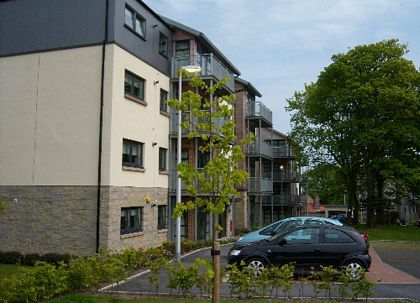 This new development was built in 2010 and these self catering flats are owned by Scottish company Dream House. Facilities include free car parking next to the flats, recent decoration and well equipped rooms. The Baker Road apartments have a choice of one and two double bedroom serviced apartments with a master en suite. All of these have a fully equipped kitchen with breakfast area. There are also many fast food and restaurants located nearby. The lounge and dining room are spacious for entertaining and relaxing for those on a business trip or simply visiting for pleasure. Dream House offer these on short term rental and can also arrange long term rental for corporate or business use. As would be expected there is plenty of room and Dream House offer their clients privacy and security. This includes free wireless broadband internet connection. 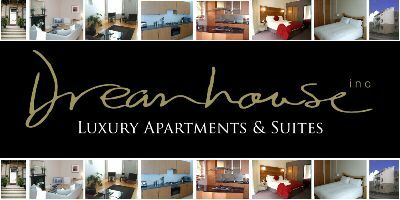 If you rent a serviced apartment in Aberdeen and would like listed on this page for free then please Contact Us. More Places To Stay In Aberdeen.